"These nights are very dark. I hear all the sounds. My heart beat, the blood pulsing through my wrists, it is like the hollow echo broadcast from the rings of Saturn, empty and surging and crying out for someone to listen." Carol struggles with an inherited mental disorder. When she decides to be better, it is the city that goes insane. Then, her ex-boyfriend murders her roommate. To fight back, she must decide how she is to live her life. 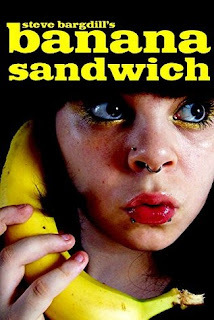 My five minute elevator pitch for Banana Sandwich has always been that it's a book about a bi-polar pizza delivery driver who lives in her van down by the river. The line gets laughs, but the other day I met someone who is truly hurting from this condition, and the two-day conversation reminded me why I wrote this novel in the first place. Any mental disorder is a hard reality to live with. If I can bring awareness to that issue through my literature, then that is one of my goals for this book. You never really know what you're going to get when you read a book about a "crazy" person. Generally, it's either going to be spectacular or just plain awful. Banana Sandwich is of the spectacular variety. The writing is excellent. The storytelling is extremely impressive. I was drawn into the story from the very first page. It was a bit bizarre in the beginning, but I think that only made me enjoy it even more. My heart reaches out to Carol. She knows she's unwell, but she also knows aside from medicine, there's not much she can do about it. Besides, what else can do you do when the bananas start ringing other than answer them? I was genuinely surprised by Banana Sandwich. It's a great novella that deserves more attention than it's received.